Senior administrators at Canadian universities will meet behind closed doors in October to debate a bylaw that could exclude faith-based institutions from membership. They will be asked by the Board of Governors of Universities Canada to pass the bylaw in express defiance of existing human rights and Charter law. Universities Canada (UC) is a civil society institution that acts as a gatekeeper for scholarship funding, certification credibility needed for recruitment and graduates, and membership to key organizations including athletic associations. UC claims to be "the voice of Canadian universities, at home and abroad" and while legally it functions like a private club, functionally it acts as a quasi-accrediting agency. As one member says, the idea that it is a voluntary organization is a "polite fiction" at best. In the best private club tradition, those who are not "volunteered" as members feel the sting of decisions made in their absence. In June, the UC Board unanimously approved a motion to amend the organization's bylaws with a non-discrimination clause. It affirms the group's "commitment to equal treatment of all persons without discrimination and without limitation" on the basis of 13 characteristics ranging from race to sexual orientation. So far, so boiler plate. But there's a rub. In addition to the amendment, the board adopted a complementary policy forbidding any member institution from using "exemptions for bona fide occupational requirements in an employments relationship to discriminate based on protected grounds, whether or not such exemptions would be otherwise permitted under applicable human rights law." In other words, the carefully measured balances that courts have sorted through when it comes to conflicting rights isn't good enough for Universities Canada. To remain within Universities Canada, some universities may be required to waive some of their legal rights as both employers and educators. Many publicly-funded university campuses include colleges with historic associations to faith-based groups. There are at least four non publicly-funded universities that are members of UC and have various forms of belief statements or conduct policies that would likely be targeted. Bona fide occupational exemptions are the provisions many groups use to "discriminate" in employment settings. It's relatively non-controversial that an organization like the Cancer Society, for example, should be allowed to decide that being a non-smoker is an important hiring qualification for positions that require public contact. A political party can legitimately require staff to forego membership in competing parties. 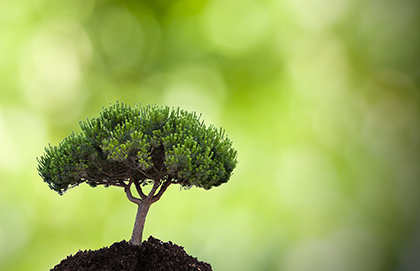 Religiously-inspired organizations also rely on these exemptions to maintain their identity. Laws sorting through how this works have been carefully developed over time. In other words, the carefully measured balances that courts have sorted through when it comes to conflicting rights isn't good enough for Universities Canada. The impact of any unpassed bylaw is speculative, of course. Still, it's telling that the language of the bylaw "protecting religious belief" differs from constitutionally protected "freedom of religion." The constitutional term is generally defined to include both belief and behaviour, making it hard to understand the proposed UC language as anything but a narrowing of legally defined rights. UC documents indicate that it has been considering this "complex and challenging" issue for the better part of a decade. Such conversations have necessarily run parallel to the well-publicized legal challenges that one of UC's members, Trinity Western University, faces over its proposed law school. After TWU gained accreditation recognizing the academic calibre of what it proposed, several law societies across Canada raised objections because the school obliges students to sign a conduct policy promising to reserve sexual relations for traditional marriage. Whether one agrees or disagrees with the conduct policy is beside the point. The legal question is whether a university has the right to have a conduct policy that it believes reflects its core commitments. It's a question almost certainly destined for resolution in the Supreme Court of Canada. Why, then, is UC short-circuiting that legal process behind closed doors, and setting the stage for the potential expulsion of its members down the road? The Charter may not directly apply to UC, but is UC suggesting that Canada's legal processes and the protections provided for all groups are not adequate for our universities? Why is UC insisting on its own judgement as to how to balance basic rights that are in tension to that which the law provides? Civil society institutions such as Universities Canada play an important role in the public square. It is a good thing that industries regulate themselves rather than relying on costly government regulation to build bigger rulebooks for every sector. But with privilege comes responsibility. 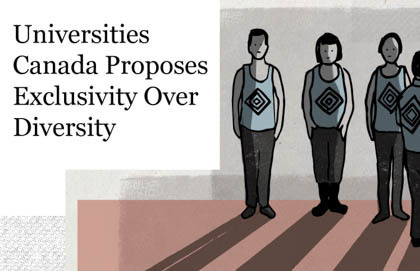 It seems clear that Universities Canada, in the name of non-discrimination and inclusion, is prepared to diminish the rights of Canadians to form and participate in institutions that have been carefully earned through history and protected by legal jurisprudence. This not only has an impact on Universities that have a religious statement of faith or community covenant, but impacts us all. When a bylaw explicitly indicates that it is asking members to forego "exemptions . . . otherwise permitted under applicable human rights law," warning bells should ring. When one civil society institution seeks to unilaterally change the laws regarding what standards of diversity and inclusiveness are legal, the cultural impact is felt by all of civil society.